Every year I do one of the best gigs going: making travel films and mentoring the winner of the international World Nomads Travel Film Scholarship. 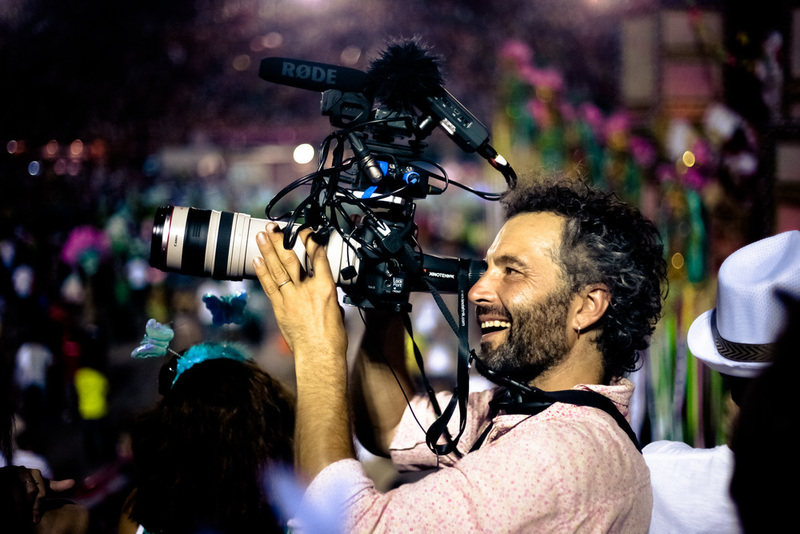 So far I’ve filmed assignments in Rio De Janeiro for Carnivale, New Orleans for Mardi Gras, Mexico for Day of the Dead, the remote pacific coast of Colombia, the stunning Sapa region of Vietnam, the remote Solu Khumbu region of Nepal, Kerala - India, & Tanzania. My travel films revolve around my passions: healthy communities, the environment, sustainable travel and social enterprises that benefit all of the above. These films are accompanied by fundraising campaigns leveraging micro donations from customers of World Nomads - a global brand in travel insurance. Over the years these “Positive Footprints” campaigns have made a massive difference to communities all across the globe. I've worked for 20 years in TV, documentary, corporate, educational & film production. Having shot short films and documentaries over the years, I've also worked for ABC's pioneering digital film channel "Fly TV" and taught for 6 years at one of Australia's premier TV and video production training schools, Metro Screen. I trained originally at Swinburne (now the Victorian College of the Arts School of Film & TV) in writing and directing drama. I also have degrees in History & Anthropology.